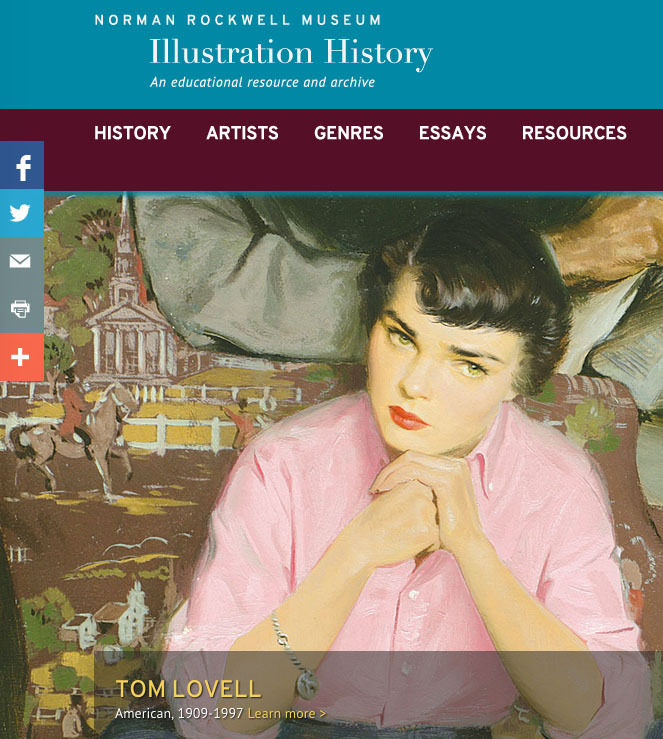 Last weekend the Norman Rockwell Museum introduced a new illustration history website, which provides an rich resource for fans, collectors, and scholars. 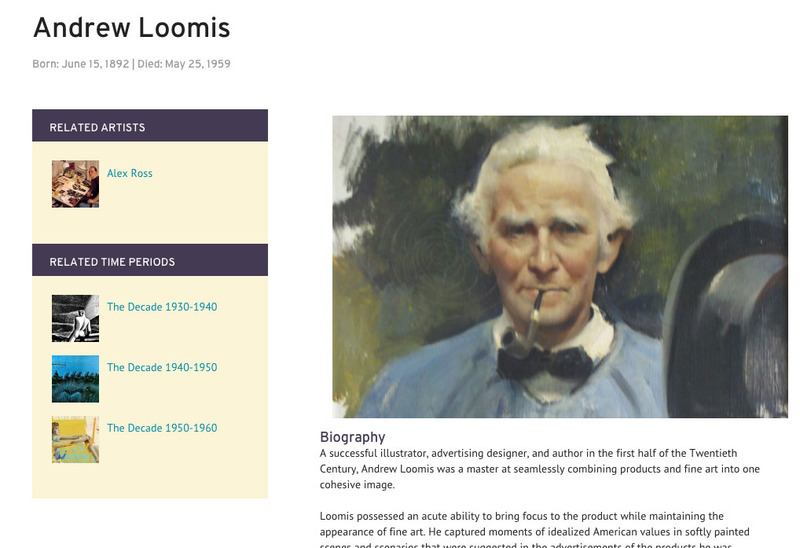 The website includes capsule summaries of each period of illustration, starting in the Paleolithic, and going all the way through the 20th century decade by decade. Some of the major names in illustration are featured with bios and sample images. There's also a growing collection of essays which will be written by museum staff and scholars of illustration around the world. The list of resources includes blogs, recommended books, college study programs, and interview videos. For example, in this 2004, video, (Link to video) Illustration historian Walt Reed (1917-2015) talks about how he got started as an educator for the Famous Artists School, how he got to know Norman Rockwell, and how that led him to opening the Illustration House gallery. The scope of the website encompasses genres such as editiorial illustration, comics, cartooning, storyboarding, tattooing, and architectural illustration. The focus is primarily on American illustrators, and there are a lot of important names that are inadvertently left out (please mention 'em in the comments!). 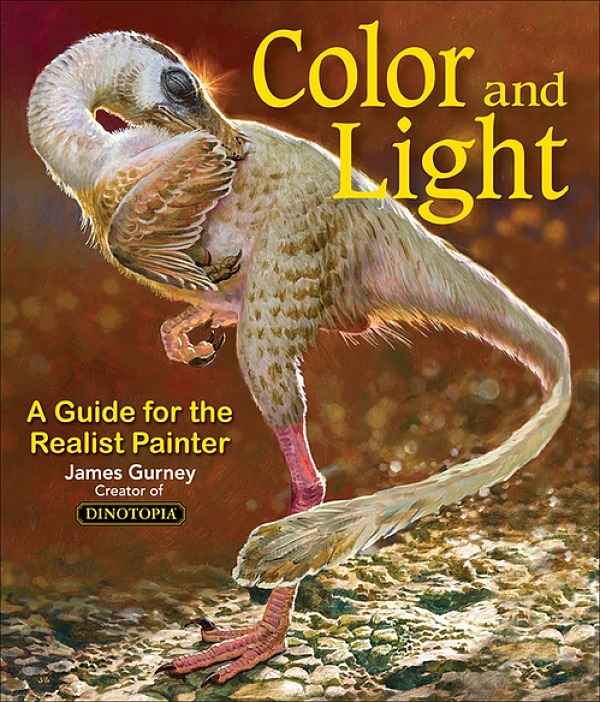 And they have overlooked many genres of illustration, such as natural history, medical, paleoart, concept art, pin-up, imaginative realism, reportorial, editorial, and paperback covers. But I trust they'll fix these gaps—they're just starting out, and they're open to feedback. 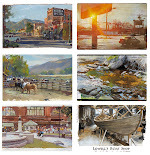 (Link to video) The Rockwell Museum has a lot of other videos and audio interviews in their collection that they're happily beginning to release, such as this video where Mr. Rockwell talks about how he found "plain, everyday people" from his small New England surroundings to stand in for people of all religions in his painting "The Golden Rule." Previously on GJ: Why is There No Illustration Textbook? Excellent website, thanks for sharing!